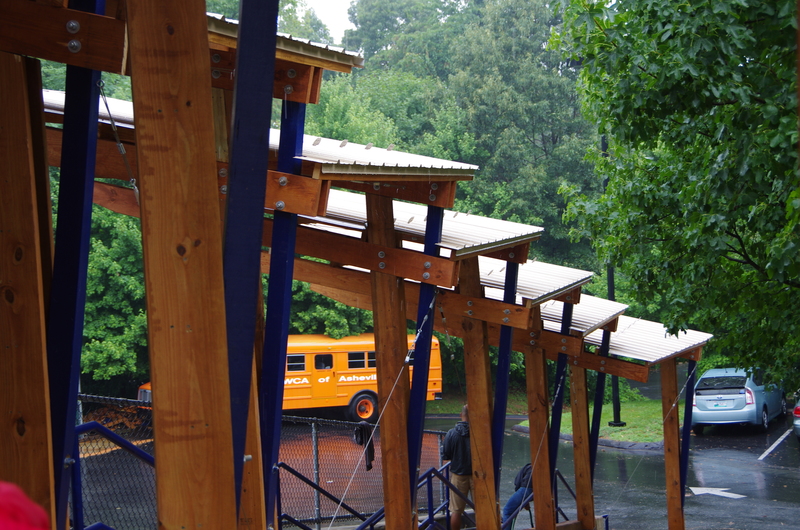 The 2014 Asheville DesignBuild Studio partnered with the YWCA of Asheville to complete designs for a Campus Master Plan, the Laurey Masterton Memorial Garden, and designed and built the Beehive Pavilion – a covered outdoor classroom with built-in benches and tables, and a series of cascading roofs that cover the existing stair leading towards the school bus loading zone. The Beehive Pavilion features a permeable recycled rubber surface – Flexi-Pave – cantilevered roof systems, and a honeycomb theme, as a tribute to Laurey Masterton’s affinity for bee-keeping. 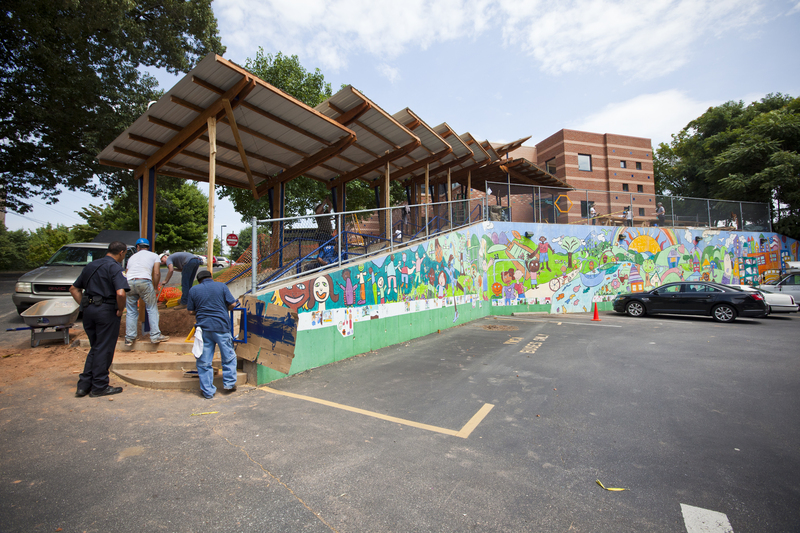 Children in the after-school programs can now exit the YWCA – rain or shine – and load into the buses, alleviating traffic congestion at the front entrance for drop off and pick up. 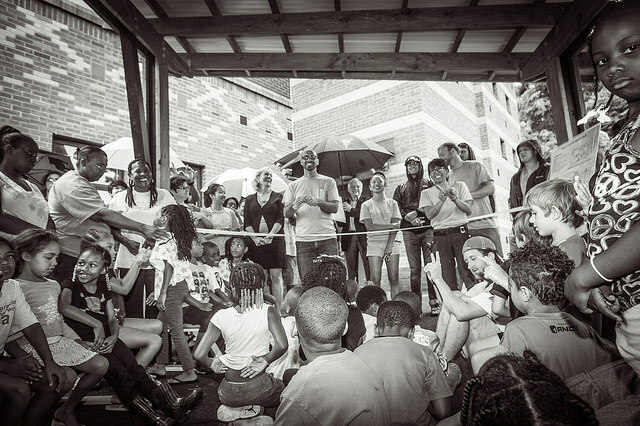 The covered outdoor classroom space also serves as a great outdoor meeting space for YWCA staff.